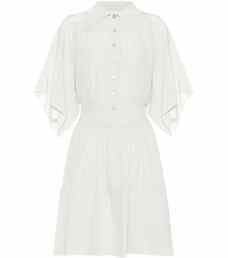 Chloé harmoniously blends elements of bohemian, vintage and tailored style to shape this pared-back gray silk minidress with smart femininity. 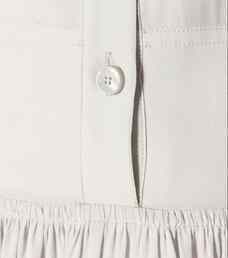 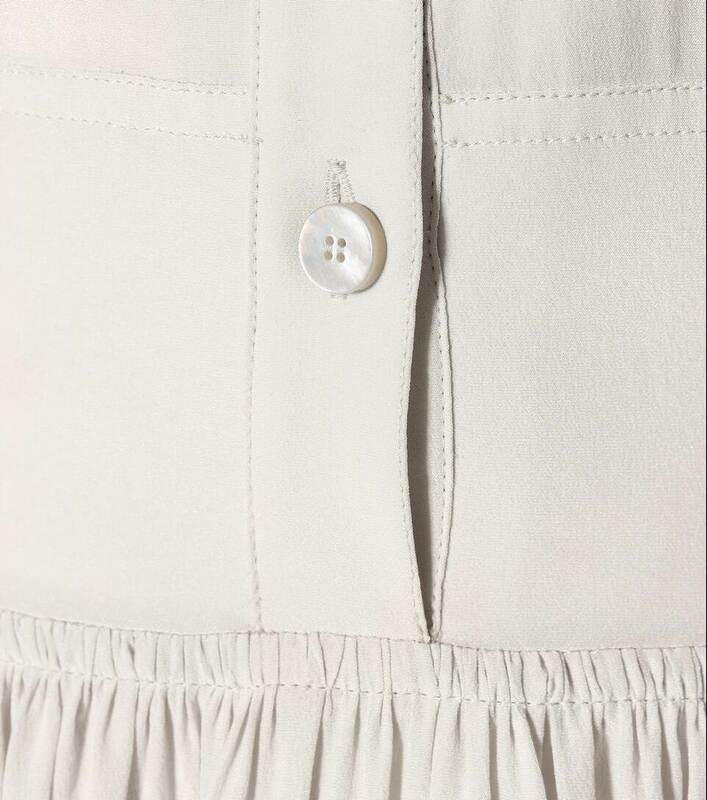 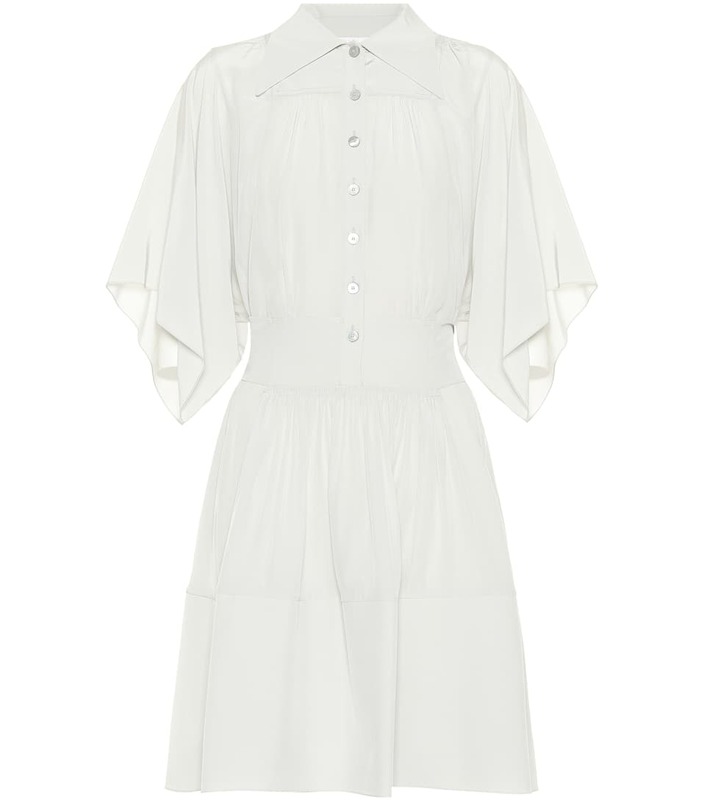 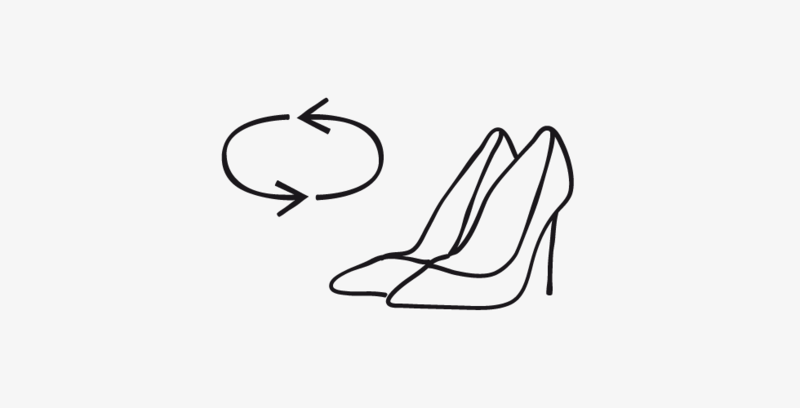 Its wide pointed collar and silver button placket perfectly temper its breezy flared sleeves and fluttery, flared skirt. 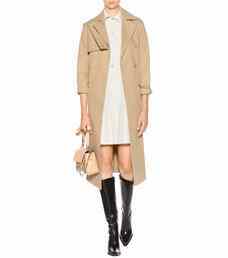 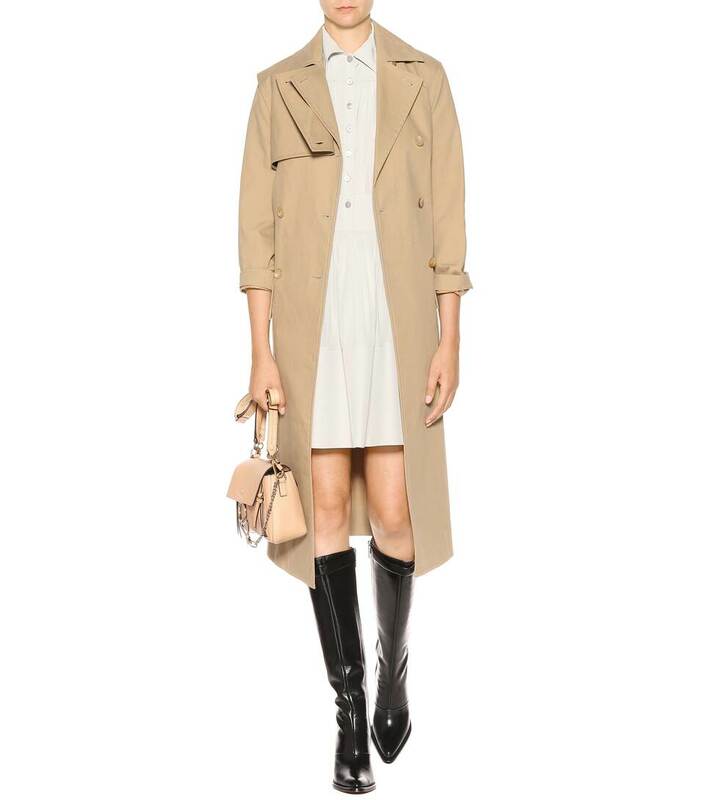 Wear yours in the city with a fluid trench and knee-high boots.